"i was and still am, the outside connection pertrudes , was not chalked and the flange is about an inche away form the wall. i also think that a white duct would be less of an eyesore. otherwise it is functioning beautifully and clearly is a great investment.I have always chosen BLP, because of their integrity and efficiency for the most part.I LOOK FORWARD TO MANY MORE YEARS WITH BLP....ALSO I HAVE HIGHLY RECOM. THEM AND THE TANKLESS WATER HEATER TO ALL I KNOW AND YOUR CO, BLPTHANKS FOR ALWAYS BEING THERE FOR ME.SINCERELY, ROSEMAUR LEONARDO"
"Barnegat Light Plumbers and Builders has put together, a group of owners/workers that are knowledgeable, up front, conscientious, and accommodating. The installation of my on demand hot Water Heater was completed in a tidy and timely fashion. From the office to all the field workers, everyone took the time to explain every step necessary to estimate the job and bring it to completion. Despite difficult the weather conditions, EVERYONE pushed towards completion.I couldn't be happier with my new Rinnai Hot Water heater. Thanks Barnegat Light Plumbing & Builders." "The Best Overall Experience I have ever had with a Plumbing Service Company.I never do surveys but this is well worth my time.After getting two very different estimates on tankless water heaters from other plumbers I dealt with in the past I did some research and found Barnegat Light Plumbing & Builders. 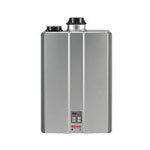 They were listed as a Rinnai dealer at LBIplumbing.Com Their website has information on the Rinnai tankless water heaters. I called and set up an estimate. Sam and Mike came and were very thorough, Mike measured my gas lines and added all the btu's from each of the appliances information plates located inside the door of each gas appliance. (Note: This is very important. 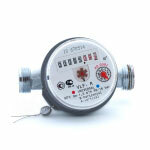 I found that tankless water heaters need almost triple the amount of gas to work right. Sam and Mike were the only ones who took the extra time during my estimate to do these critical calculations. )Sam did all the math, showed me the calculations and clearly explained that my current 1" inch gas line did not have enough gas for the Rinnai to work properly and it was necessary to increase the line to 1 1/4" from my gas meter to my first gas appliance which is my heater about 20 feet away for the new Rinnai to work properly. I was emailed a very detailed contract in 3 days which explained each step of the installation from the removal of my old water heater, how the Rinnai was put in, the new Gas line, the Vent, how long it would take to do, permit info, and even all the different Rebate information for the $1,200 I was entitled to.Easy decision and they were hired. Job was done by Mario and Gary. I call Mario The Artist of Plumbing. He does very nice work. His copper water lines are something you want to display and not cover over with sheetrock. It took about a day to complete and they made sure my house was cleaned and left spotless. Matt and Dawn registered my Rinnai and did all my Rebates for me.This company is very impressive and works as a team to make sure everything goes smooth.I am very happy with my New Rinnai, My $1,200. in Rebates and Especially with my new Plumbing Service Company, Barnegat Light Plumbing & Builders. Thanks Guys, You did a Great Job!LFK IV"
"I researched all Tankless water heaters and found that Rinnai was the best. I went on Rinnai.us and found that Barnegat Light Plumbing/ TheRinnaiGuys.Com were at the top the Dealer list. I contacted TheRinnaiguys.com and two other Dealers on the list. Sam e-mailed and called me right away, actually in less than 15 minutes of me sending the Information. Sam informed me that I was not in their territory but said once a couple more estimates came in near me he would come up then. A few days later Sam called and said his Top Rinnai Guy, Mike would be up the next day. The next morning Mike showed up. He was really great, He explained everything necessary to be done including increasing my Gas Lines which me figured out by measuring the ones I had and the amount of Gas BTU�s needed to make sure all my gas appliances along with the new Rinnai would work correctly without any problems. The other two estimates never showed up and gave me really high prices which was rather disturbing as they never came out to see what was in my house and also measure my existing gas lines like Mike did from TheRinnaiGuys. 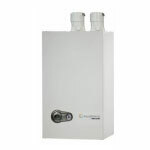 Sam sent me a very detailed Contract which was very reasonable and it was very easy to choose them as they were the only Rinnai Installers to come out to my home and make sure it would work correctly, and that really matters when buying a water heater which is much more than a regular water heater. After a couple days I receive a Contract which I signed and sent back. I scheduled for a date in Late May and Mario and Sam�s Son Sam showed up on time and did a really great job and it looks as amazing as it works. 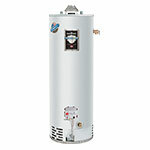 I am really thrilled with the whole experience and highly recommend Barnegat Light Plumbing/ TheRinnaiGuys.Com when it comes time to replace your old water heater. Give Sam a call, you will be very happy you did! I sure am."